Germany, Hungary, Czech Republic, and United States. 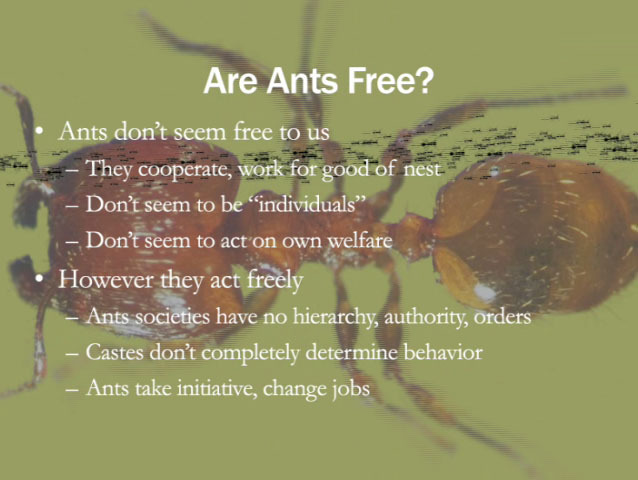 Ant and Human Societies is a slide lecture that explores freedom and individuality in human and ant societies. I performed the lecture in my recent tour of Eastern Europe at Futura in Prague, Hints in Budapest, What, How and For Whom in Zagreb, and ACC in Weimar. I also have performed the lecture in the USA at PNCA in Portland, and CCA in San Francisco. 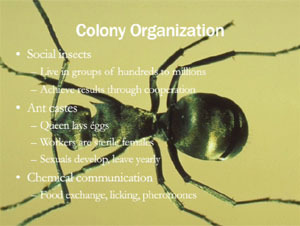 The lecture looks at ant achievements in the fields of food production and architecture, and how ants organize their societies. Next it probes the questions of freedom, individuality, and collectivism in ant and human societies. 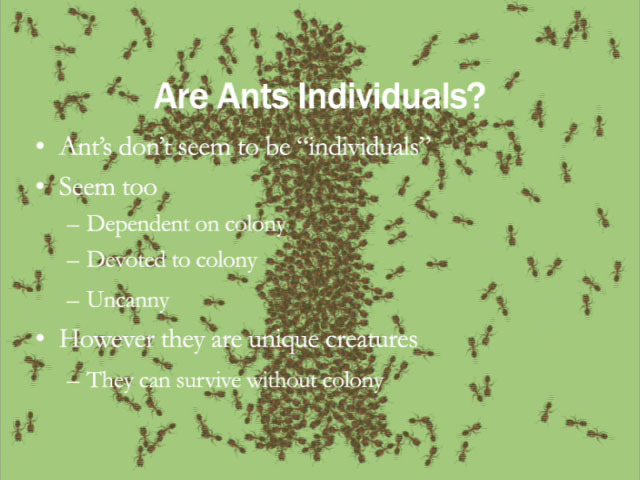 Biological theories about ants are used to examine how science views the nature of individuality. The lecture concludes by trying to find ways that studying ant societies can inspire change in human societies. 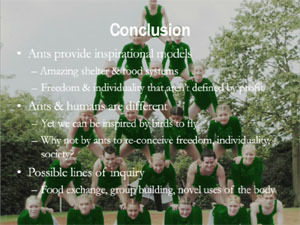 An animated image track accompanies the lecture. 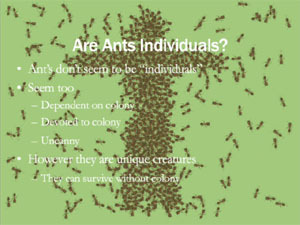 The images show computer-generated ants that move in groups to form symbols.